Which requirements do I have to meet? The requirements for each of our trips are listed in the individual activity description. It is the responsibility of the participant to choose an appropriate activity. If you are unsure, please do not hesitate to call us and discuss which activity would be right for you and your group! Generally speaking, good health and basic swimming ability are required for all participants. Do I need to book an activity in advance? Yes, due to our logistics, a prior booking is mandatory. We accept last-minute bookings, but we can’t guarantee that space will be available; therefore, we highly recommend booking at least a few days in advance. We’ll confirm every booking by email and include all important information about your tour. By booking you acknowledge our general terms and conditions. Please be prepared to get wet! We’ll provide you with all technical gear, but you’ll need to bring your own swimsuit and bath towel, and perhaps synthetic or merino sports underwear to wear under your wetsuit if you get cold easily. We recommend that you bring disposable contact lenses if you normally wear glasses. Of course, it’s also important to bring any personal medications such as asthma spray, epi-pen, or allergy medication, and to notify your guide about your medical condition. Please do not bring your valuables. While anything left in our base during your tour will be quite safe, Ticino Adventures can not take responsibility for your valuable items. Do I really have to be able to swim? Yes. You don’t need to be an olympic swimmer, but without basic swimming ability you are definitely in the wrong place in a canyon! Our neoprene wetsuits and socks are washed thoroughly after every use. Usually the gear dries quickly in the warm Ticino weather, however, it is possible that your wetsuit will still be damp when you receive it. Please be aware that this doesn’t mean the suit isn’t clean. Yes, but only at your own risk. We recommend that you have a compact waterproof model or GoPro action camera. Ticino Adventures takes no responsibility for any valuables brought along on the tour. 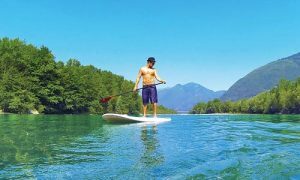 It is also possible to rent a GoPro from Ticino Adventures. Am I insured against an accident? No, insurance coverage is the participant’s responsibility. It is assumed that our guests carry valid accident and health insurance, including cover for rescue costs. If you have travel insurance please ensure that canyoning is covered under your policy. May I consume alcohol before the activity? No! Our activities must be taken seriously and demand full powers of concentration and ability to react. We will turn individual guests or the entire group away upon any indication of alcohol consumption. Can I also book as an individual? Yes! We welcome individual bookings. Our tours can be booked directly online. The tour dates with available free spaces are displayed on our booking system. Please be aware that the tour will not run if it doesn’t have the minimum number of guests (listed in the trip details). In this case we will notify you at least one day before the scheduled tour and either issue a refund or help you to re-book on a different tour date. What gear do we get? We provide our guests with top quality and completely CE-tested canyoning gear to keep you comfortable, warm, and safe in the canyon. You will need your own swimsuit to wear under the wetsuit. As long as we are able to guarantee the safety of our guests, the tour will not be cancelled. This particularly applies to canyons with hydro-electric infrastructure (reservoirs) where rain water might never make it into the canyon. If the tour is cancelled, we will make an effort to offer an alternative tour or date, or we will refund the money to you. What happens in the event of a sudden thunderstorm? We use all available data to understand the weather situation before the tour, and we always err on the side of caution. Should the weather look unfavorable shortly before the tour, the tour will be cancelled and you will be offered a substitute tour or date if possible. Otherwise, we will refund the money to you. Should we be surprised in the canyon by a thunderstorm, we will break off the tour and leave the canyon via the next possible emergency exit. Please be aware that rain does not necessarily mean a tour will be cancelled; please show up at the base on-time unless we call you to cancel the tour! Level 1 and level 2 tours require no prior experience. Level 3 tours are suitable only for athletic individuals with rappelling and canyoning experience. Level 4 tours require that you have mastery of active rappelling and have been canyoning with us in the past or complete an abseil training with us before the tour. No, previous experience is not required. Our guides will teach you everything you need to know at the start of the tour. All that is required are basic swimming skills. No, unfortunately, due to logistics, we can offer funrafting exclusively for group bookings. The minimum number of participants is 8 people. If you would like to book an activity as an individual or small group, please take a look at our canyoning or biking tours. While most of your time on a funrafting tour will be spent out of the water, it’s important to be prepared if you do decide to go for a swim! Our equipment will keep you warm and comfortable in the boat. You need to provide your own swimsuit and shoes. Each team of three to five people will also be provided with a high-quality inflatable mini-raft. No, our funrafting tours will be held in any weather unless there is lightning. Rain is usually not a problem for funrafting tours, unless it is very heavy. Lightning, however, is a serious danger. Should a thunderstorm come up shortly before the tour, the tour will be cancelled and you will be offered a substitute date if possible. Otherwise, we will refund the money to you. Should we be surprised on the river by a thunderstorm, we will break off the tour and leave the river via the next possible exit. Yes, swimming is allowed on some stretches. However, other sections are not recommended for swimming, so our guides will inform you in detail about the dangers, the proper technique, and the places where it’s OK to swim. It is possible for our boats to capsize, but it rarely happens during funrafting. A proper safety briefing will be given before the trip and if capsizing does occur you will be assisted by our guides. How does our luggage get to the takeout point? All personal gear that you wish to keep dry will be transported from our base to the takeout point and will be waiting for you when you arrive. Of course this is included in the price. Is return transport to the embarkation point possible? We do not offer return transport of participants to the embarkation point. Public transit (Post Bus) is easily available. If you wish to do a shuttle with your own vehicle(s) we are happy to bring your vehicle driver(s) back to the embarkation point with us, however please be aware that there are limited number of spaces. Trip prices are based on you having all your own equipment for biking. We can arrange a rental for you at extra cost. Ticino Adventures est certifié par “Safety in Adventures”, afin que vous puissiez profiter de votre aventure en toute confiance! © 2000-2019, Ticino Adventures. Tous les droits sont réservés.